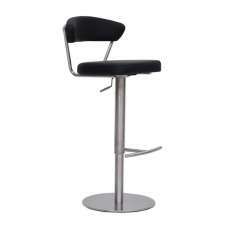 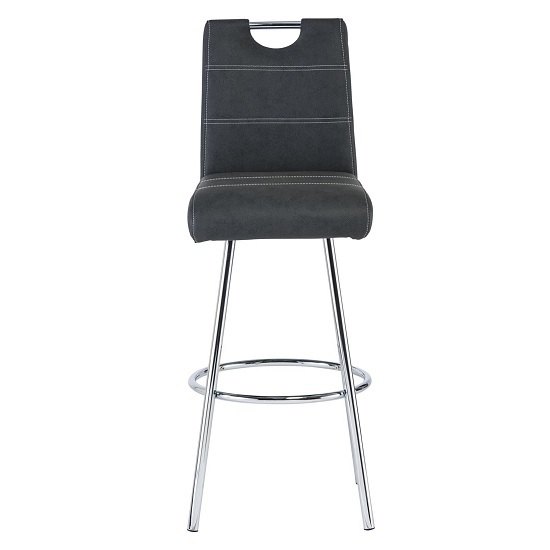 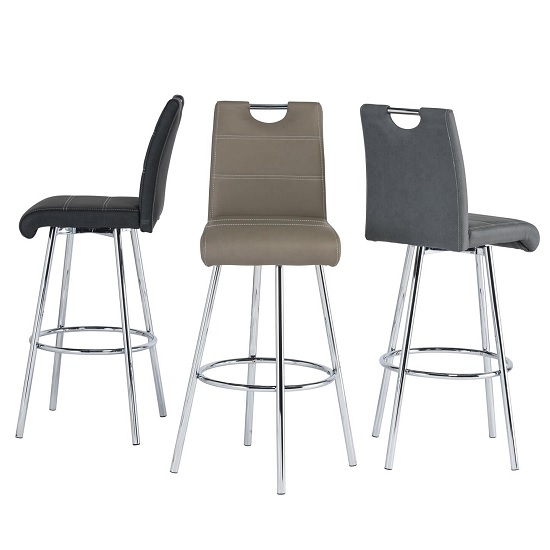 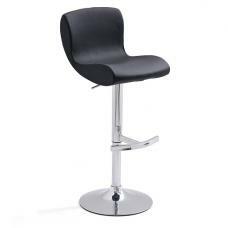 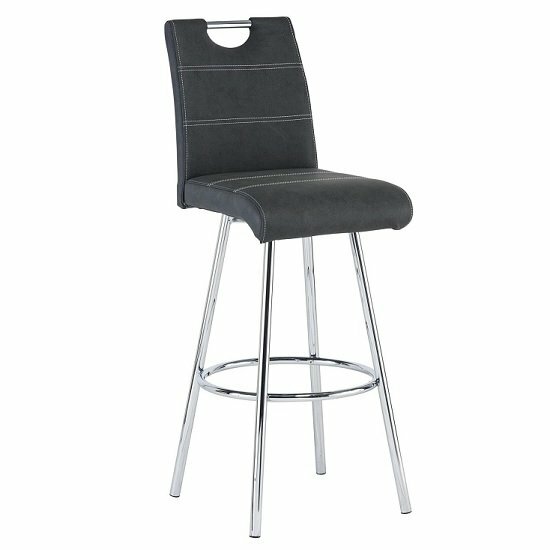 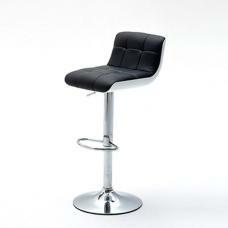 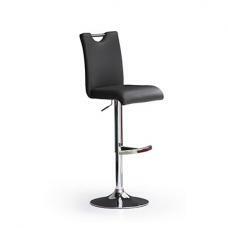 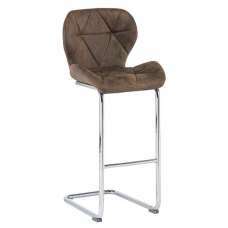 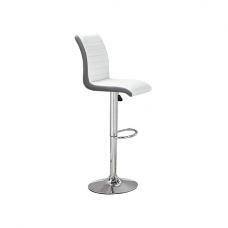 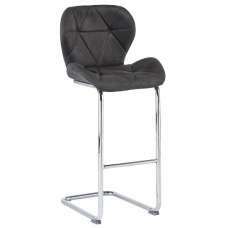 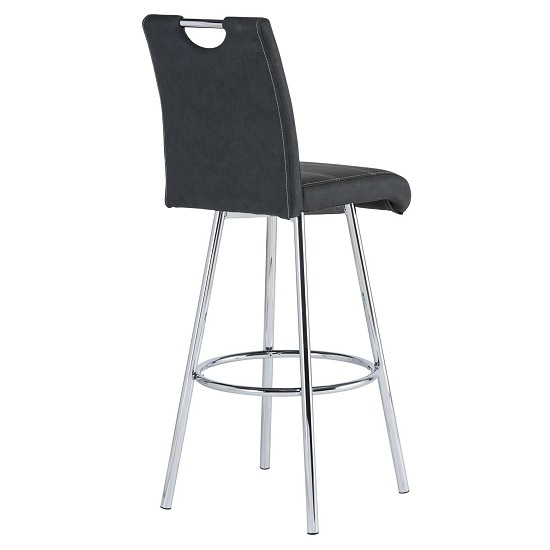 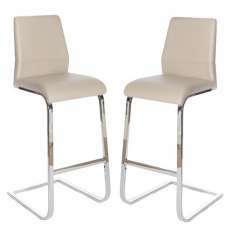 Crafton Bar Stool In Black Faux Leather With Chrome Frame, modern bar stool makes a great addition to any bar or dining or kitchen area. 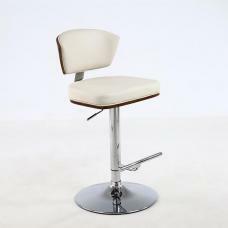 Beautifully tailored in matt patina faux leather in black. 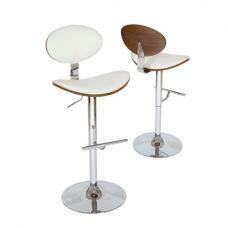 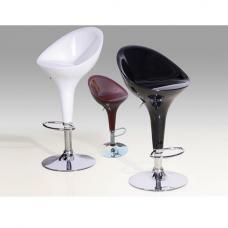 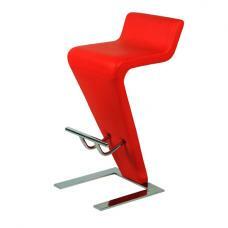 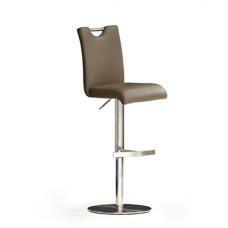 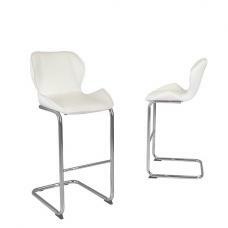 It features Chorme frame with round shape foot rest along with 360° swivel mechanism.